Coming March 20, 2015. Celebrate the snow with another unique winter event. 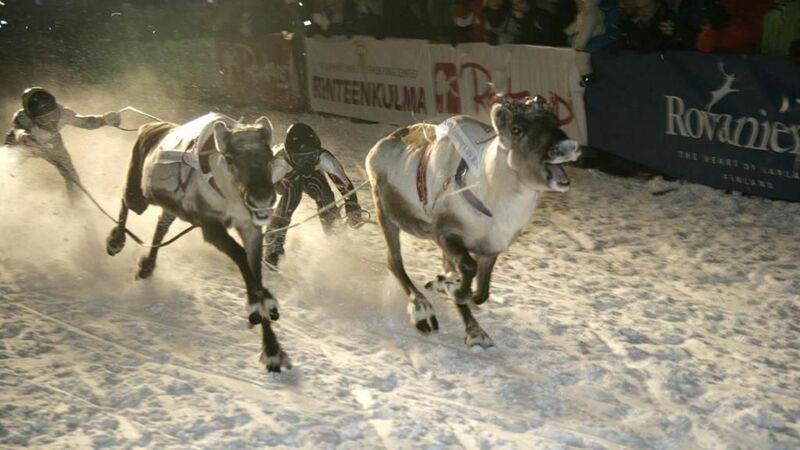 Picture yourself bundled up and cheering at the Rovaniemi Reindeer Sprint Race. Officially known as the capital of the Province of Lapland, Rovaniemi, is popularly known as the official home town of Santa Claus. Crowds gather to watch as two reindeer each pull a skier uphill at break-neck speeds in an elimination competition, in which the fastest pair in each race continues with the final winner crowned as the champion. A fun, Finnish sport worth checking out!